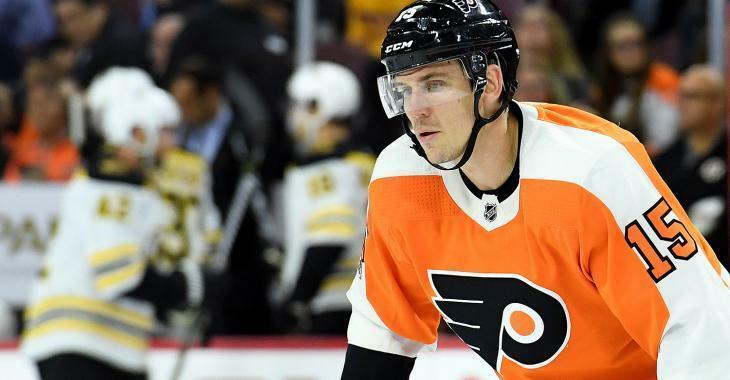 The headlines made waves all across the National Hockey League on Wednesday when it was revealed that Philadelphia Flyers forward Jori Lehtera is reportedly one of 23 individuals being investigated as part of a large scale cocaine ring. Lehtera is one of 23 suspects in the case of two kilos of cocaine that started being spread starting last January. Police arrested suspects at Lehtera’s summer home, and the veteran forwardwas not among those summertime arrests. At the moment, no charges have been filed against the veteran player. The report from MTV.fi, a Finnish news service, indicated that, Lehtera has denied having committed a crime after police interrogation. Seven people are already in custody back in Finland and the translated report states that police expect the investigation to expand and that police have also seized 650,000 Euro (roughly $762,000 in American dollars) worth of jewelry and valuables in connection with the case. On Thursday morning, it was announced that the NHL is launching an investigation of their own following the cocaine ring story. League deputy commissioner offered a statement to the Courier-Post that added that the NHL "will have no further comment pending the completion of that process." The Flyers did not make any comments as well, but GM Ron Hextall did mention they had spoken to the veteran forward. "We have spoken with Jori Lehtera and the league office regarding the reports out of Finland," Hextall said in a statement, "and will reserve any further comment on the matter at this time." The 30-year-old centre has one year left on his contract with the Flyers that pays him $5 million, which the salary cap hit is $4.7 million. Ever since the start of training camp back in Philadelphia, Lehtera has struggled to prove that he can be a go-to centre on the roster. Maybe this story and investigation have been playing heavily on his mind, despite denying his involvement with the crimes. We will have to see what the league finds out.